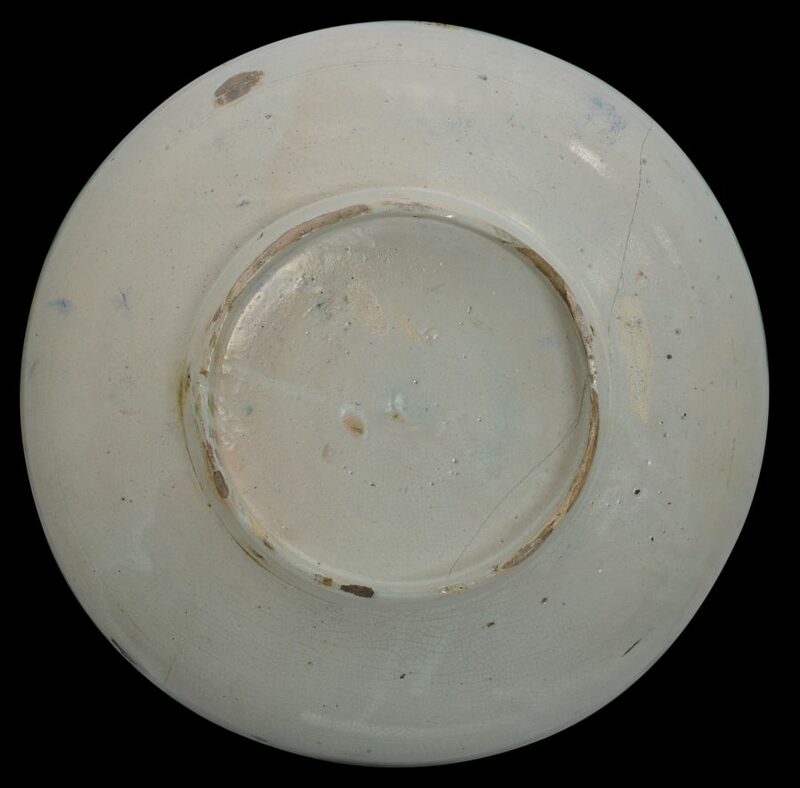 This large dish has high, rounded sides, and sits on a high ring foot. The interior is decorated with four concentric bands of geometric and stylised floral decoration in dark blue, blue, green, cream and yellow glaze. The exterior has a plain cream glaze. 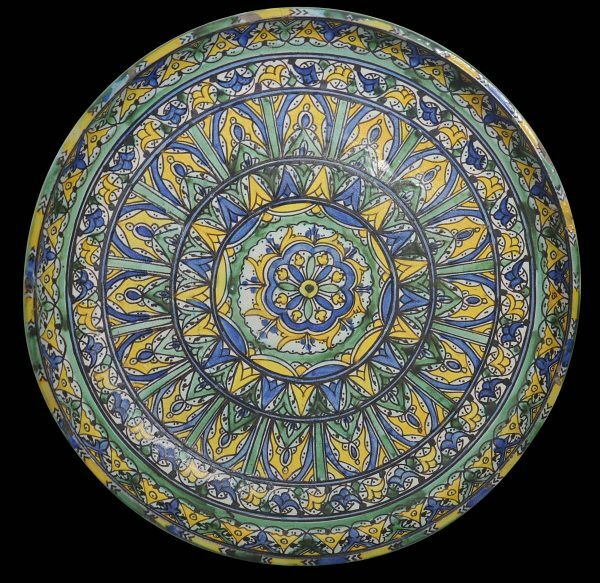 Such a large, deep dish would have been used at major feasts and celebrations such as a wedding, or during Ramadan in the evenings when the fast is broken by the family and guests. It would have been heaped with couscous and meats from which the participants would have been served. 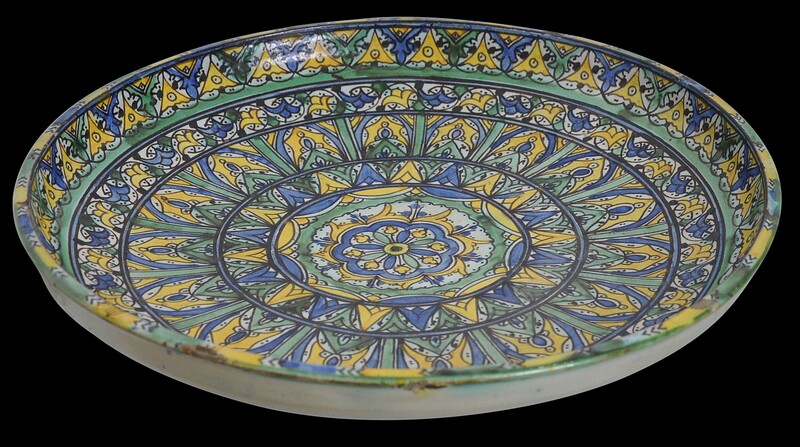 In common with many (and probably most) Moroccan ceramics from the 19th century, the dish has plenty of signs of use. There are minor losses to the enamel and hairline cracks. There are no major chips however and no restoration. Its condition compared with many extant 19th and early 20th century Moroccan earthenware pieces this is rather good.